I’m definitely making these tonight! 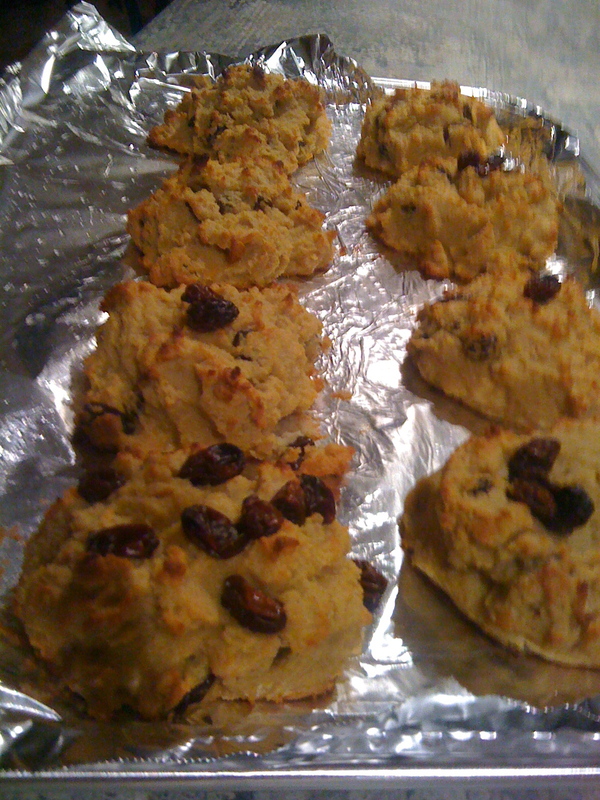 Unfortunately, when I made the scones, they turned into STONES! I should have stuck to the recipe and not taken it up myself to start substituting things. In the future, I will know to follow the advice of a more seasoned bakers than myself. Hi and thanks for posting this recipe. I’m new to baking with coconut flour, but did you really bake these at 350 Celsius? That’s about 660 degrees Fahrenheit. I’ll have to double check I have since moved and have a very different oven… but I think that is correct. This looks really delicious, however, I am making them for a person who can not have eggs. Any suggestions on what to do? I’ve actually begun to experiment with new types of flour…. as far as coconut flour goes there is no way to remove the eggs…. If you are just baking them for someone who is okay with gluten but not with eggs I would suggest using regular flour and then adding ground flaxseed about a tbs ( though I would look this up). Flaxseed acts as a binding agent. If you are avoiding gluten then stay tuned… I will be posting some new things soon. Just moved so had to figure out the new oven! Let me know if this helped at all! I just discovered this recipe and was about to make the same comment. This might explain why one baker wound up with “stones”. Ovens do not have a setting that high. I hadn’t updated this but yes of couse its Fahrenheit. I have just edited the post to show this. Sorry for all the confusion. do you leave in Montreal, and if yes, where did you get hold of the coconut flour?? I actually ordered it online from nutsonline.com or you can always find it at any health food store. Usually most carry rob red mills flours and they have coconut flour.